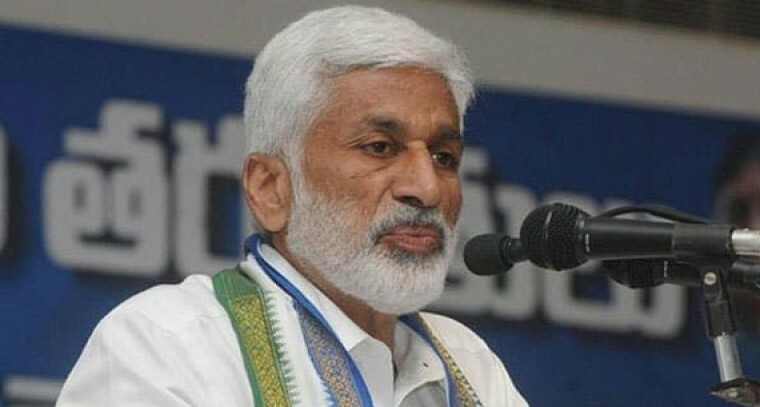 Amaravathi: YSR Congress MP Vijayasai Reddy made harsh comments on former CBI JD Laksminarayana for joining Jana Sena Party. He took his Twitter handle and tweeted that , "I'm surprised that you joined Jana Sena. You have been working as per the directions of Chandrababu Naidu. Maybe you thought people would ridicule you if you have joined TDP and so you have opted for the B-team which is Jana Sena. For whom you will work in the future." By targeting Ap CM and TDP chief Chandrababu Naidu, he tweeted, "For the last 35 years, Chandrababu is obsessed with Pulivendula and despite being CM for 14 years, he is suffering with this phobia and is unable to get of it. Chandrababu in inducing unwanted fears to the Andhra Pradesh people's mind. He should consult a doctor for better treatment."